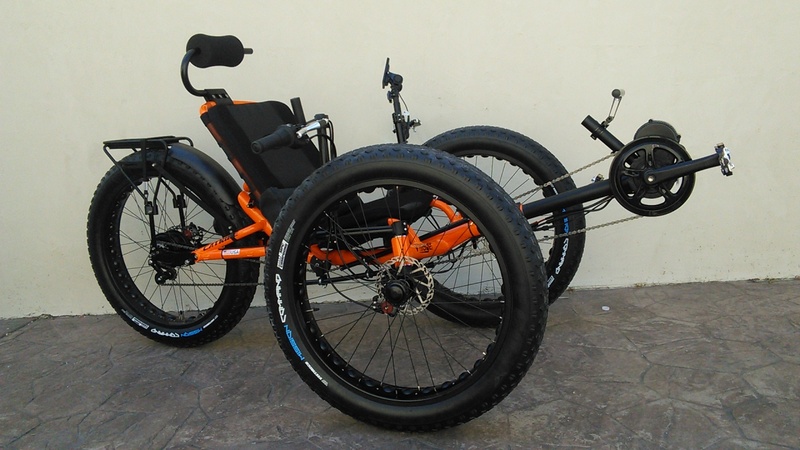 This Fat Wheel Trike is the cousin of our Fat Cat-4 Quad. 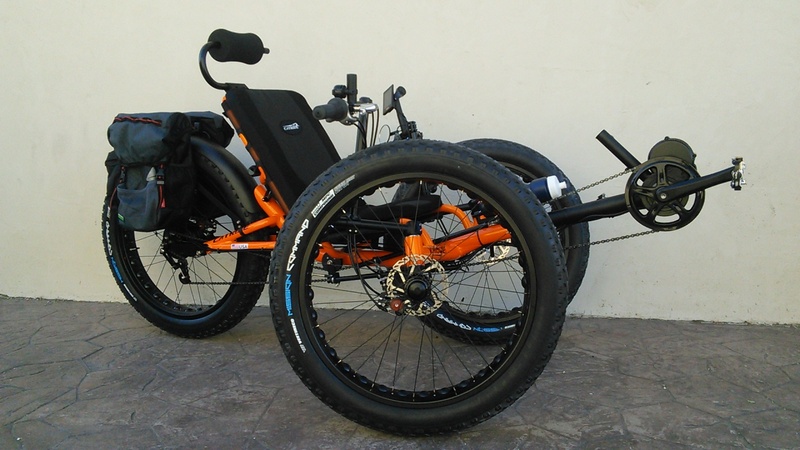 Using the popular Catrike Villager recumbent trike frame, we've created a fat trike that is higher, lighter, and provides all the comfort expected of a Catrike. 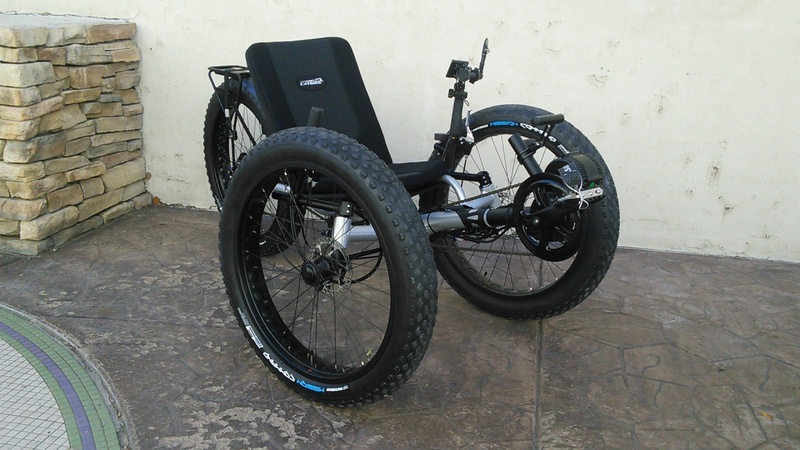 For even more fun choose one of our motor options and we'll turn it into an electric trike! 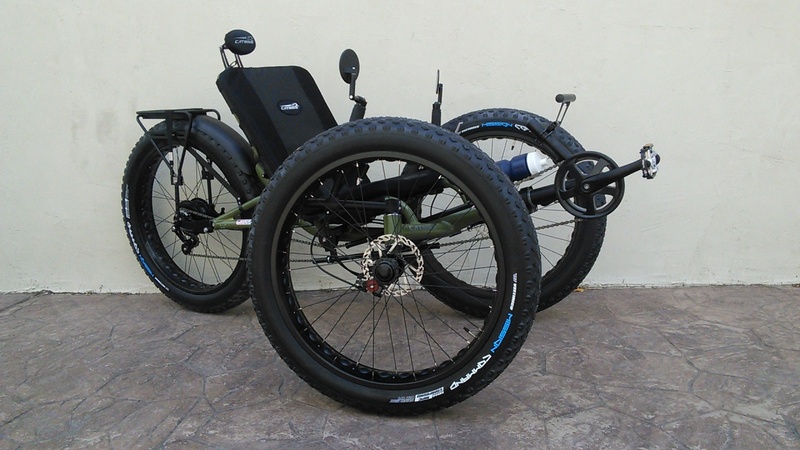 We built the Fat Cat V3 with the Catrike Villager as the base model. 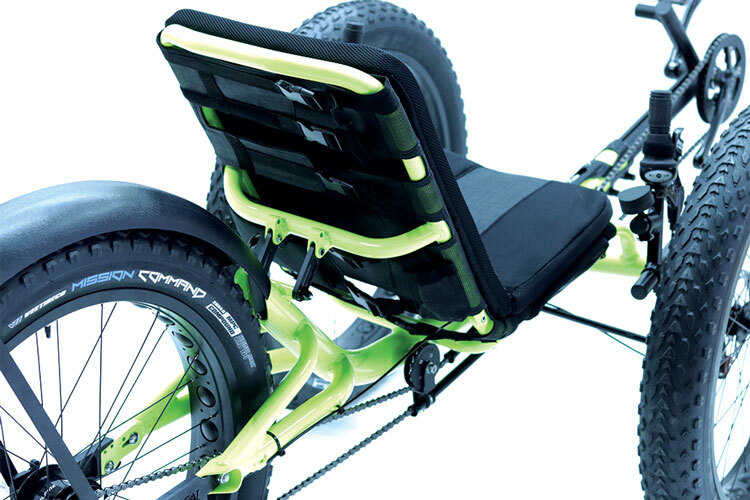 The 7005 aluminum frame makes for an overall lighter trike, and the height of the seat is ideal for many riders. 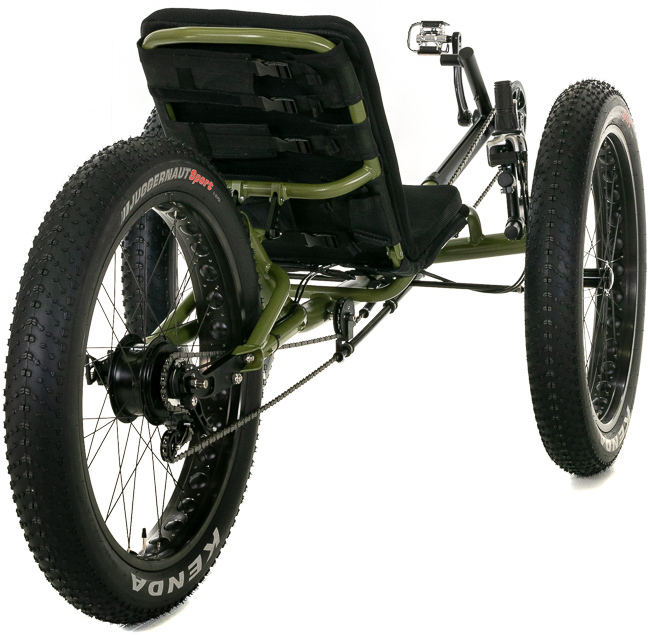 The V3 comes stock with a Catrike seat that offers excellent lumbar support and breathability. The frame is durable and light. The aluminum helps to absorb some of the jolts and vibrations from the road. 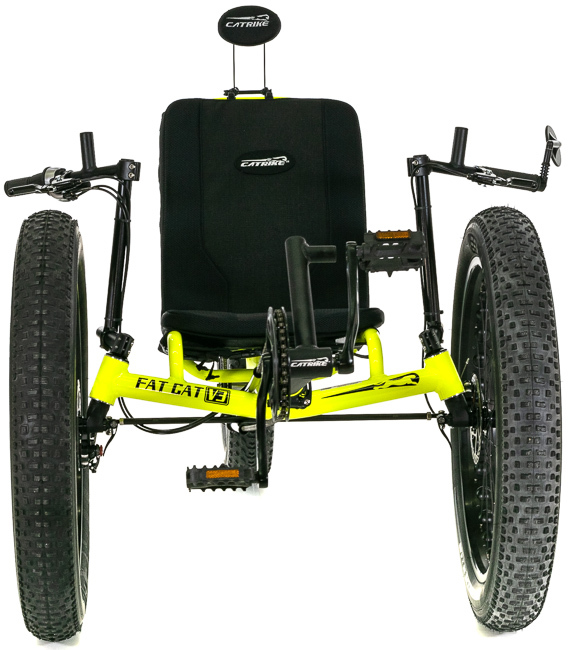 The Fat Cat V3 can handle the asphalt, but off road is where it excels. 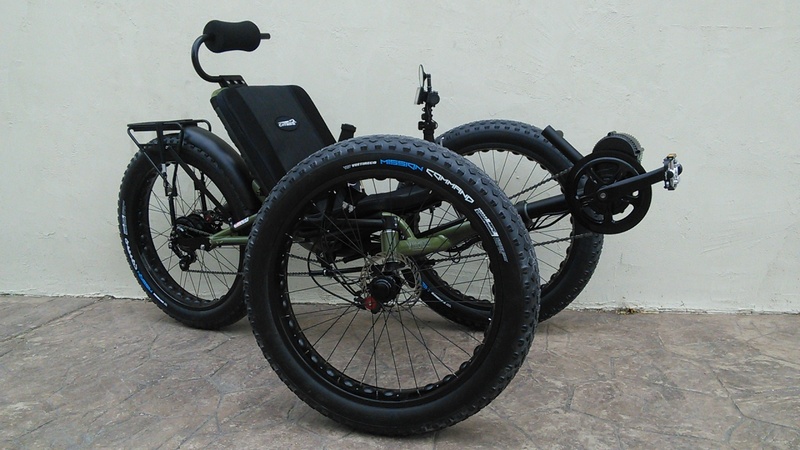 The 26x4-inch knobby tires ride easily over dirt, gravel, sand, grass and snow. 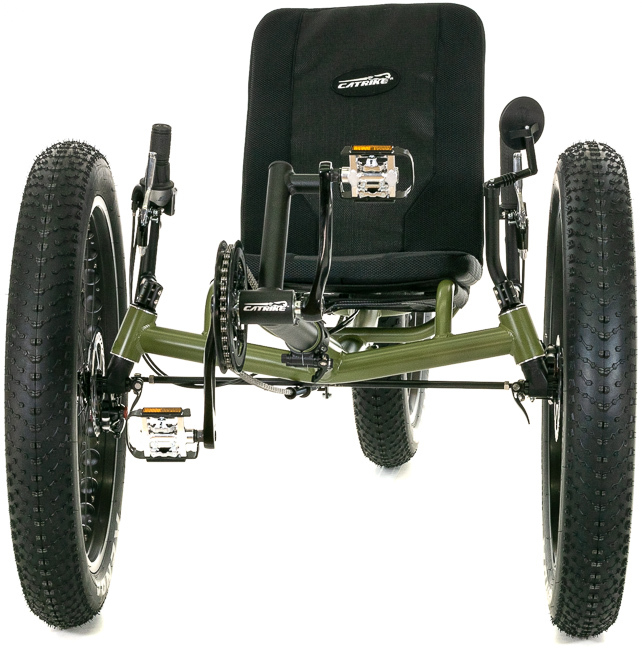 Running them at a lower PSI will offer extra suspension on the trail. 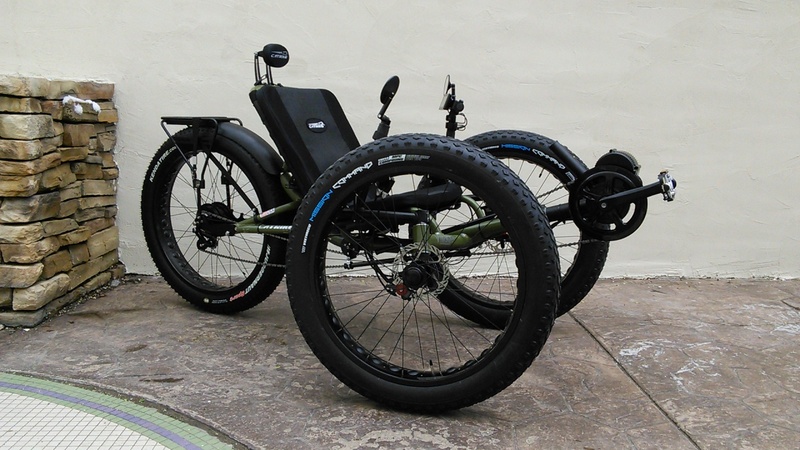 If we're being honest, fat tires make any trike look like a beast and the Fat Cat V3 is no different. Put it to the test. We dare you.